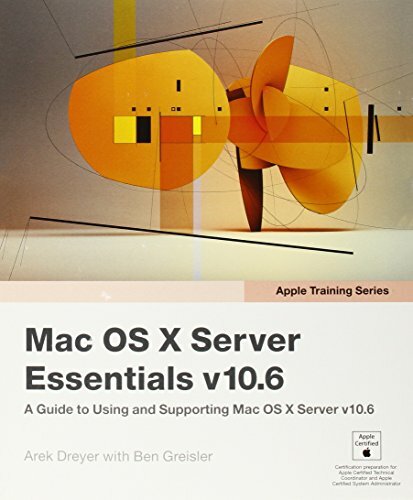 The only Apple-certified book on Mac OS X Server v10.6, this comprehensive reference takes support technicians and ardent Mac users deep inside this server operating system, covering everything from networking technologies to service administration, customizing users and groups, command-line service equivalents, and more. Keyed to the learning objectives of the Apple Certified Technical Coordinator certification exam, the lessons in this self-paced volume serve as a perfect supplement to Apple's own training class and a first-rate primer for computer support personnel who need to support and maintain Mac OS X Server as part of their jobs. Self-quizzes reinforce lessons. The Apple Training Series serves as both a self-paced learning tool and the official curriculum for the Mac OS X and Mac OS X Server certification programs.